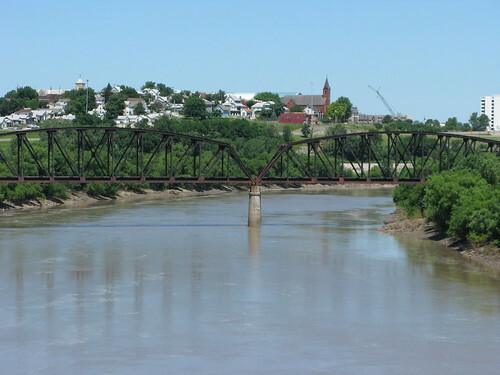 Kansas City(s) (both of them) are river cities, though much less so than many other river cities. 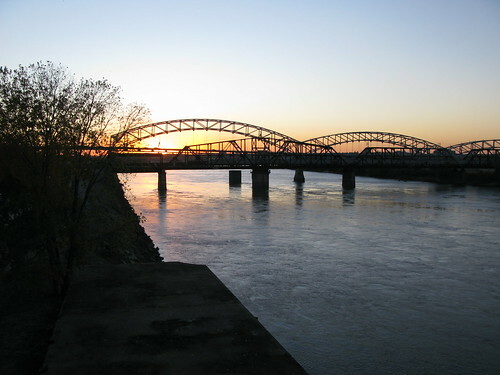 KC hasn’t embraced the riverfront; most of the levies are closed to public access, and the riverfront parks that do exist have traditionally been woefully underutilized. 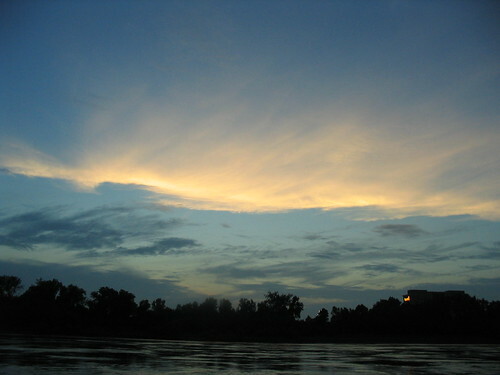 Nonetheless, KC is a river city, and the river plays significant roles in how we live here. Foremost, it is a boundary, between North and South, between KS and MO. 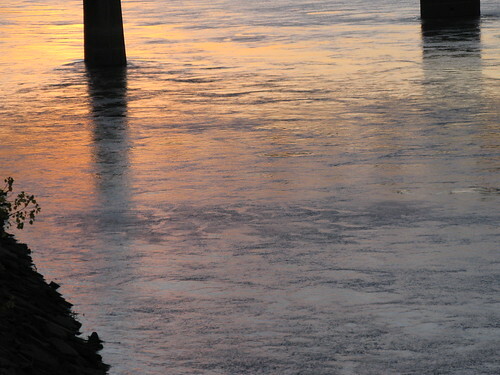 I cross the Kansas or Kaw river every day, twice a day, once on the way to work; once on the way home. I live in Kansas City, Kansas, work in Kansas City, Missouri. 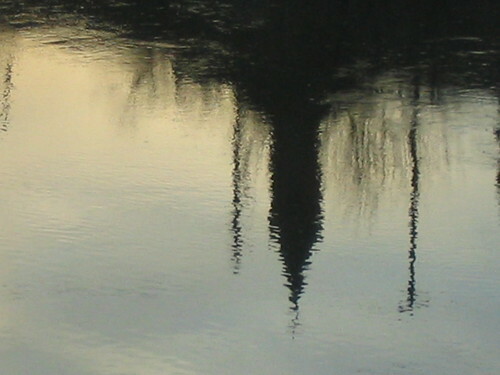 At sunset, sometimes, I admire the reflection of the steeple of St. John’s Church on the water. This picture is of the Missouri, off glow-in-the-dark-park, on the night of the First Annual Trashboat Regatta. And here is the water, just reflecting the sunset, from Saturday night. A view of St. John’s across a very muddy Kaw River, as seen from the Central Avenue bridge. I guess I didn’t really have much of a story to tell tonight. Just some pretty pictures of the rivers that delineate the cities of Kansas City.